I meant to write this post last month – and now this warning is very late – for reasons that will become clear below. But in summary – if you run Microsoft XP on your PC, read this post urgently – it could save you a lot of money! Many years ago my role was to do battle with Microsoft, usually equipped with the marketing equipment of a rusty sword and spavined horse. I met Bill Gates and Steve Ballmer several times, and I can’t say I took to them personally. But since those days, Gates has become IMHO the man who has done the most physical good in the world ever. My attitude is that whatever he did in competition with us was worth it, because it paid for the focused, pragmatic, and slightly obsessive ways he is tackling problems like malaria and smallpox now. One other comment on this – my candidate for one of the great women in the world, is Melinda Gates, because she not only turned a pretty hard and narrowly focused nerd into a nice(r) man, but she convinced him to do something really revolutionary with his vast hoard of money, and showed him how. Anyway, that aside, these days I think Microsoft make pretty good software. The great stalwart of their wealth in the last 12 years has been the Windows XP operating system. As of December 2012, it represented 21% of PC operating systems and it is used on about 60% of the PCs that view this site – so you are probably on an XP machine now. 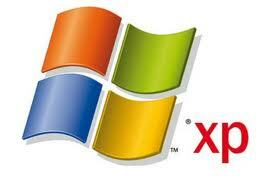 But did you know that Microsoft will remove support for XP on April 8th 2014? That’s 15 months away. After that there will be no more security updates – so over time your PC will become more and more vulnerable – and there will be more and more malware that will be able to do pretty bad things, unencumbered my Microsoft’s defences. What should you do? Well you can throw your PC away and get a new one – but that would be expensive, and possibly unnecessary. The alternative is to upgrade your current machine. If you want to stay with Windows, you have two choices: Windows 7, or Windows 8. Windows 7 is an excellent operating system – stable, fast, and mature. But it has always been expensive. The current cost of an upgrade from XP to W7 Home Premium on Amazon is £86, and to W7 professional, £150. What about Windows 8? Well there has been a lot of controversy about this new OS, which is the beginning of Microsoft’s fightback against Apple. It’s a rather strange combination of the old Windows 7 OS, and a new touch-driven tiled interface. But it’s a very good platform, even more stable than W7, and smaller, faster and with better security. And until 31/1/13 you can upgrade from XP to Windows 8 Professional for £25! After that date the price to the basic W8 will be £75, and for W8 professional, it will be £125, a five-fold increase in price. I’ve bought 6 copies of the upgrade so far (we have 9 PCs in operation here), and I might get a few more in the next few weeks. I’ve learned a reasonable amount about the upgrade that I’ll pass one here to help you decide if you want to do something similar. You don’t have to upgrade immediately, just buy the license before 31/1. The best way to buy and upgrade is on-line from Microsoft. They will ask you to download and run Windows 8 Upgrade Assistant. This does a useful assessment of what you can keep and what you need to replace in the way of drivers and software, and as far as I can tell is a prerequisite for purchase. This site shows most of the screens. The upgrade assistant then takes you to an ordering page. After confirming the order, you are given the option to buy a backup DVD. I advise you to order this. You then move to the payment pages – it’s possible to pay for it direct on Paypal which makes life fairly easy. Once the transaction is through, it will tell you the product key for your copy of Windows 8, and they will also send you an email confirming this. If you ordered the DVD, you can stop here. The program at this point will want to start to download a 2GB file – and will then go straight into trying to install Windows 8. If you ordered the DVD, you can install later at your convenience, and why not – you have until 8/5/2014 to do this. Most PC articles on the subject tell you that you can burn your own W8 upgrade DVD – this is not true for an XP upgrade. If you upgrade from a Windows 7 machine, you are given the option of burning your own DVD, or creating a USB stick package. But for weird Microsoft reasons, this is not offered when doing the upgrade from an XP machine. None of the big PC sites mention this, because of course they all have Windows 7 machines and assumed it was the same from XP as well. But no option to make your own DVD is available from XP. If you can get hold of a Windows 7 machine, you can run the above process and you will then get the option to build a USB or DVD loader. It is a tedious and complex process though – I think having MS to do it for you is worth £8.99 of your money. You can run the process as many times as you want, from a single machine or multiple ones. Microsoft has elsewhere stated there is a limit of 5 copies per person, but I have bought 6 so far with no problem (although one of them was a DVD-based upgrade). I ran three of the upgrade purchases from the same machine with no problem either. You only need the product key to do the upgrade, plus a DVD or USB installer. The DVDs are not linked to the product key – any valid product key will work with any DVD or USB installer as far as I am aware, and I have done three installs with the same USB stick. An XP upgrade is effectively a ‘clean install’ – but although your programs have to be reinstalled, it still retains all your data in a separate directory. This was a surprise to me and made getting my PC back to normal pretty straightforward. Although I would recommend you always back up your data when doing an upgrade, it actually was not necessary to copy the data back again, as it was still there on the original hard drive. The upgrade process doesn’t check too hard on the original XP license. One of the machines I upgraded which had remained unused for a year or so, showed a problem just before the upgrade with the Genuine Windows test, although I had originally bought it as a new machine with a supposedly legit XP license. Despite this it went through the W8 upgrade process and authenticated with no problems. You cannot use a downloaded package to migrate from a 32-bit XP system to a 64-bit W8 system. The MS upgrade process will only do the upgrade from a 32-bit XP to a 32-bit W8 system (or a 64-bit XP to a 64-bit W8, but 64-bit XP is rare). Many PCs supplied with 32-bit XP, are fully capable of having more than 4GB of memory installed. However you can only utilise memory larger than 4GB if you have 64-bit Windows. If your PC supports larger memory, it’s a great idea to have Windows 64 – it’s a bit faster for many programs, and for big and complex software, like Photoshop Pro, or Lightroom, it’s pretty much essential. I have a massive water-cooled PC that I use for graphics rendering and I wanted that to have 64-bit W8, so I investigated how you can get there. It seems the only way is to buy the full Windows 8 upgrade DVD from Microsoft at a price of £50. I sprung for this, because as noted above, you can use it for multiple installs as long as you bought legitimate upgrade licenses (and product keys) from the MS site. In fact if you have a number of PCs to upgrade, some of which will be 64-bit, the best method is to buy this full DVD, and then just buy the download licenses (and product keys) thereafter. If you are planning to put in an SSD (Solid State Drive) at the same time, be wary – you should reformat the XP drive with Window 7/Vista alignment. An SSD can transform the performance of an old PC. I have a couple of beautiful Toshiba R500 laptops which are still the lightest fully featured laptop ever made. They have a full DVD drive, nice 13″ screen and a proper hard drive, and still only weigh 1kg. These systems never had Windows 7 support, but with the upgrade to Windows 8 and an SSD instead of the hard drive, they are now the most responsive and snappiest PCs I own. The SSD install was pain however. To do an upgrade of both the disk to SSD and the OS to W8, you first have to copy the old XP image onto the new SSD (you can’t install the upgrade on a blank system, only to an XP or W7 system). It turns out that the SSD partition alignment (basically the size of the data blocks on the disk) has to be of the Windows 7 type, or the performance and worse, the lifetime of the disk suffers. You can fix this problem by formatting the disk with the right alignment as you copy over the old XP partition (I used Macrium Reflect Free for this). I didn’t and it caused me quite a bit of extra work to fix the problem. After that however, the machine just flew – starting up from cold in around 30 seconds for example. This double process sounds complicated, and actually it is – only do this if you are pretty skilled, or have a friend who is. The Windows 8 upgrade process does an amazingly good job in finding the right drivers. I was particularly concerned about my Toshiba R500s as there were only Vista drivers available – it was never shipped with Windows 7, and the W7 support was extremely patchy. But the upgrade process got me to a fully functioning machine, with LAN and wireless all working perfectly. On my water-cooled system I had a powerful Nvidia graphics card (that needs two power supplies just to run it), which I was certain would cause a problem. But the W8 install process put in the right driver and it started and ran perfectly. In fact I later upgraded the driver to the level recommended by Nvidia, and the system stopped working causing an irritating (but again, smooth) reinstall – so I will always trust and prefer the W8 upgrade decision from now on. 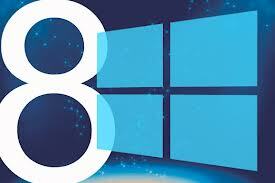 Windows 8 is actually a nice operating system – there is nothing to be afraid of. You may have read some scare stories about the new ‘Metro’ or ‘Modern’ interface. Fortunately, you never have to use it. You can run Windows 8 exactly as though it was a neater Windows 7. In a mad sort of Microsoft way though, they have omitted the ‘start’ button, at the bottom left of the screen. I never knew I depended on this until it wasn’t there. It turns out to be essential – lord alone knows why they left it out. The solution is easy though – there are many free (or cheap) products that just put it back. Then, it’s pretty much plain sailing – there are some new features, mostly for the better, but they are easily mastered. You don’t need a touch screen for Windows 8. Although touch is highly touted as the main new factor in Windows 8, a touch screen or tablet interface is not needed at all. Thinking it was, I invested in an expensive Logitech touch tablet, and a touch mouse. I never use the touch functions, because I always stay in the familiar ‘original Windows’ part of the system. The new ‘Modern’ apps are pretty feeble compared to their Windows equivalents, and particularly compared to Android apps. Maybe one day they will improve, but in the meantime, a regular mouse and keyboard is perfect, just like before. If you currently have Windows 7 – you don’t need to do anything. Microsoft will be supporting Windows 7 for at least another 5 years – and in that time they will spin Windows 8 a few more times, so it will doubtless be a bit less of a jump for current users (like putting back the start button for example). If and when you need to migrate off W7, there will be options that are at least as good as today’s W8. So there you have it. My top twelve tips for getting to Windows 8. If you have Windows 7, you are just fine, but if you have a perfectly good XP system, you have to do something before 8/5/2014, or you will be risking your security. Further, unless you act soon, upgrading will cost you up to 5 times what it will cost in the next 2 weeks. And as I found, Windows 8 can turn an obsolete but pretty XP system, into a fast, pretty, and bang up-to-date Windows 8 one.